In 1963 an important national symbol almost became extinct. According to the U.S. Fish and Wildlife Service, only 417 pairs of bald eagles nested in the continental United States that year. Eagle eggs cracked open easily because the parents ate prey containing the chemical dichlorodiphenyl trichloroethane (DDT), a pesticide widely used to kill insects that fed on field crops. In 1972, the use of DDT was banned in the United States, and the outcome was remarkable. By 1995, the bald eagle totaled 4,712 pairs and was no longer on the endangered species list. Credit for the eagle's comeback is often given to the effects of one book: Silent Spring (1962), by Rachel Louise Carson. This quiet, determined woman not only helped save the eagle, but also raised the public's awareness of the damaging effects of pesticide pollution upon all living things. After her death, Carson was generally recognized as the founder of twentieth-century environmentalism. Carson had a master's degree in zoology from Johns Hopkins University, but excelled in writing about science for the public. She was planning what would have been the nation's first popular book on ecology when she heard that hundreds of songbirds were dying in a Maryland wildlife sanctuary sprayed with DDT. The birds were much like the canary that miners used to carry into a coal shaft: When it inhaled poisonous gases, it would stop singing, warning the miners to escape. Similarly, Carson reasoned that without careful use, pesticides could be harmful or deadly to humans as well as insects and birds. She dropped her plans to write about ecology and instead did research on pesticides. When she wrote about her new project in the New Yorker magazine in June 1962, the public and critical reaction was explosive. Many reviewers from the news media criticized her article, calling Carson an unreasonable, emotional, fear-provoking, and hysterical woman. Velsicol, a company that sold pesticides, pressured publisher Houghton Mifflin to drop the book by associating Carson with communists. 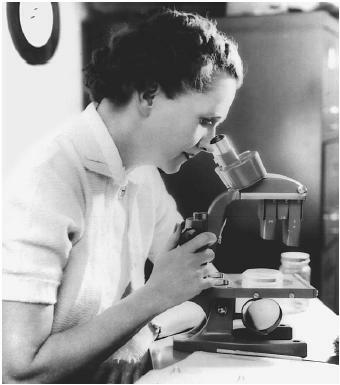 Linda Lear writes in Rachel Carson: Witness for Nature (1997) that Velsicol sent a letter to the publisher suggested that she had some political involvement with the Soviet Union and identifying her with "sinister influences." Velsicol claimed that Carson intended to reduce U.S. food sources to equal the low food production of the eastern European countries allied with the Soviet Union. Velsicol never retracted their claims. But the controversy between chemical company scientists and Carson's supporters greatly increased sales when the book was officially published on September 27, 1962. By the end of the year, Silent Spring was number one on the New York Times best-seller list. Carson and her book have been linked to countless environmental milestones. Soon after the book's publication, President John F. Kennedy ordered the President's Science Advisory Committee (PSAC) to investigate pesticides, leading to federal regulation in 1964. DDT and other pesticides were later banned in the United States, although the chemical is still used in a few countries. Testifying before Congress, Carson suggested that a commission be created to coordinate pesticide policy—the first recorded version of what became the Environmental Protection Agency (EPA). Officials from President Jimmy Carter to Vice President Al Gore have recognized her leadership of the environmental movement. Finally, her book Silent Spring has become known as the first and most important statement about ecology to influence public policy in the twentieth century. Lear, Linda. (1997). Rachel Carson: Witness for Nature. New York: Henry Holt. "How Many Bald Eagles Are There? Bald Eagle Pairs: Lower 48 States, 1963–1998." U.S. Fish and Wildlife Service, Region 3. Available from http://midwest.fws.gov/eagle .